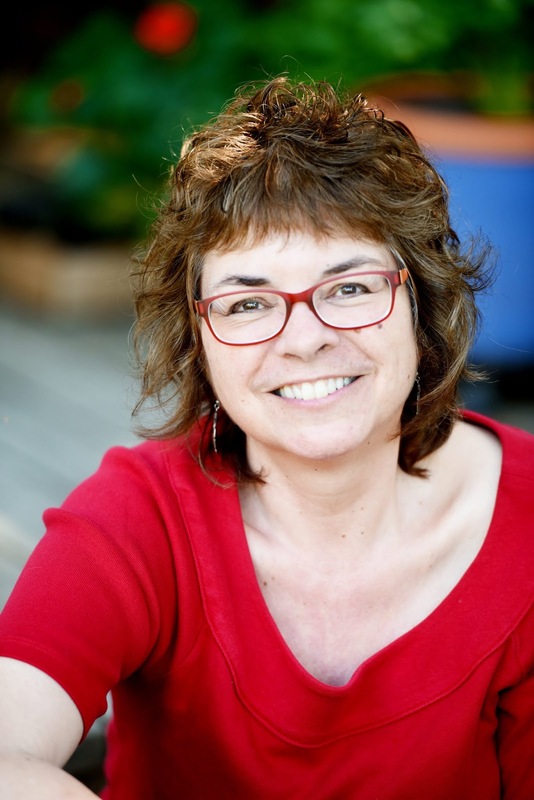 LESLIE: Before our honeymoon in Greece, lo these many years, we didn’t know much about Greek food beyond Greek salad. We loved every minute. Well, okay, we didn’t love getting lost on the way to the airport in Athens in our rental car because the signs were down during road work, but I digress. We adored the food. One of our fondest memories of the trip is the day we took a boat tour of the amaaazing Caves of Diros, on the west side of the Mani Peninsula. Afterwards, we stopped at a restaurant in Areopoli, where the owner took us into the kitchen and pointed out moussaka, kaftethe (meatballs), and other fragrant dishes. They do things like that in Greece. They also love tzatziki, the cucumber-yogurt sauce seasoned with dill. It’s so much a national dish that the Lonely Planet Guide to Greece includes the recipe! So this recipe screamed Greece to us, and since our memories of Athens, the Peleponnese, and Santorini are sun-splashed and warmed, and I’m writing this in late March while wearing a turtleneck, socks, and slippers, we were ready for a return trip – even if only by fork. There are several parts to the recipe, so best to break it down a bit. Make the tzatziki ahead of time – it only takes a few minutes, and you’ll have plenty to dip with pita chips later – or buy it. 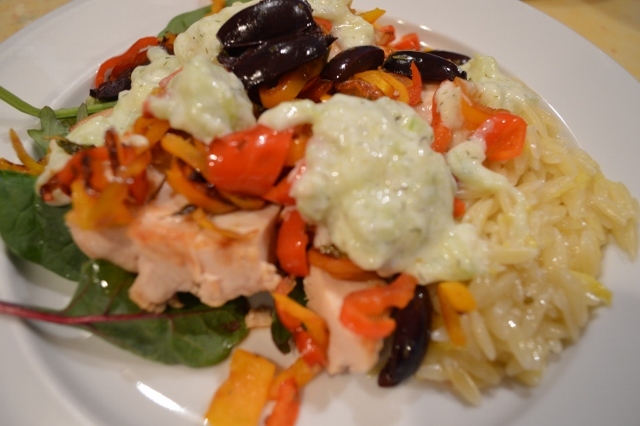 Get the orzo cooking and the peppers sauteeing before you start the chicken. Or, grill or fry the chicken ahead of time, and either reheat it or eat it at room temperature. 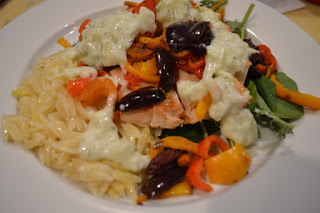 The dish is wonderfully bright and colorful, and you know color on the plate means healthy food, right? 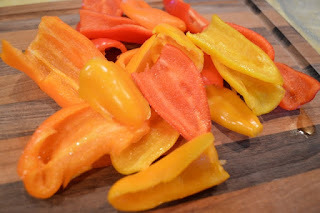 We hadn’t used the baby peppers before—they’re sweet, not hot. Mini bell peppers. If you can’t find them, standard bells will do, but these have an extra dose of flavor we loved. 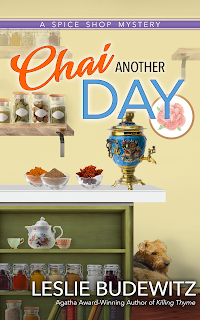 Then when it’s all ready, pour yourself a glass of crisp white wine – we fondly recall the menu in a seaside restaurant in Gythio offering “Vin Confusamente.” That sounds so much more fun than a white blend, doesn’t it? 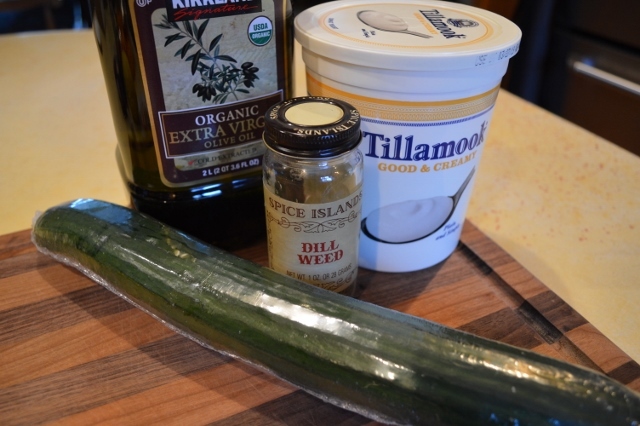 Make the tzatziki by mixing together all ingredients. Set aside. Bring 2 cups of water to a boil in a small saucepan; add the orzo and cook, stirring, 10-12 minutes, until al dente. 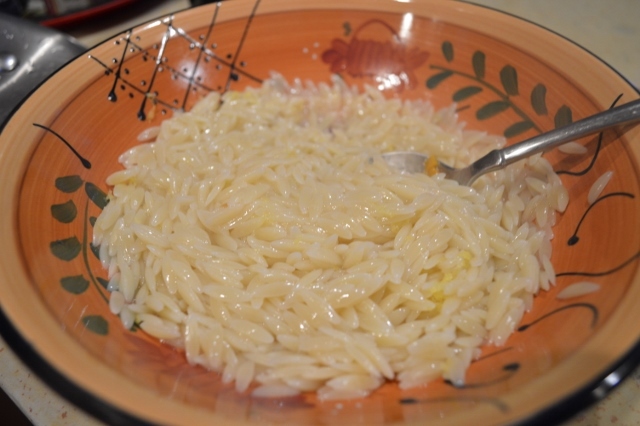 The orzo may not absorb all the water; if not, drain and return to pan. Add a teaspoon of oil and the lemon zest and juice; stir well, then cover and set aside. 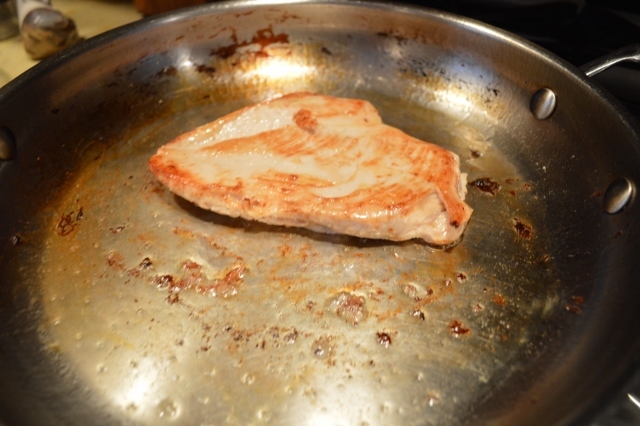 While orzo is cooking, heat one tablespoon of olive oil in a saute pan or skillet over medium heat. 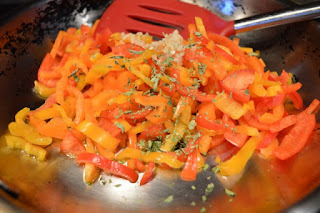 Add the peppers, garlic, and oregano. Cook, stirring occasionally, until the peppers are tender-crisp, about 5 minutes. 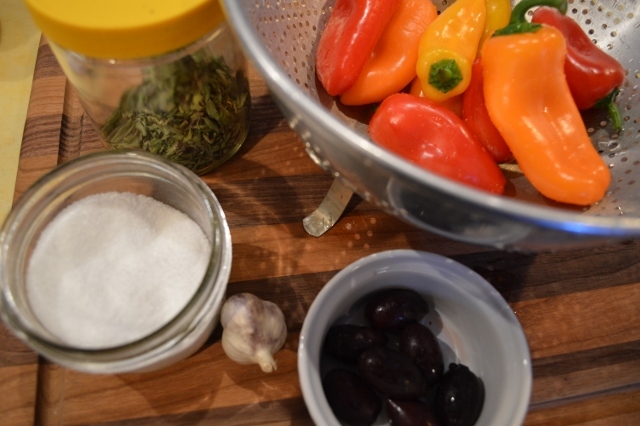 Add the olives and a pinch of salt and stir. To serve, arrange greens on one half of each plate. Spoon about half a cup of orzo on the other side of the plate. Top with the chicken and peppers, then spoon two tablespoons of tzatziki on top. I love tzatziki, too! Thanks for the recipe for what looks like a fun warm weather meal. I love your books and this recipe sounds delicious. Definitely a must read book and must try recipe. Oh, gosh -- thanks, Robin! Enjoy them both! Total yum! Thanks for the recipe! Wish I knew how to say "Bon Appetit!" in Greek -- although maybe it's a phrase that needs no translation! 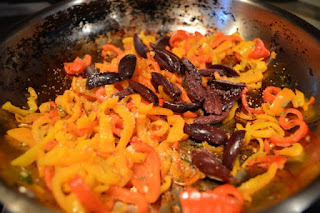 Those peppers are beautiful colors and the olives make a fine accent. Pretty and yummy -- the perfect combo in any language!